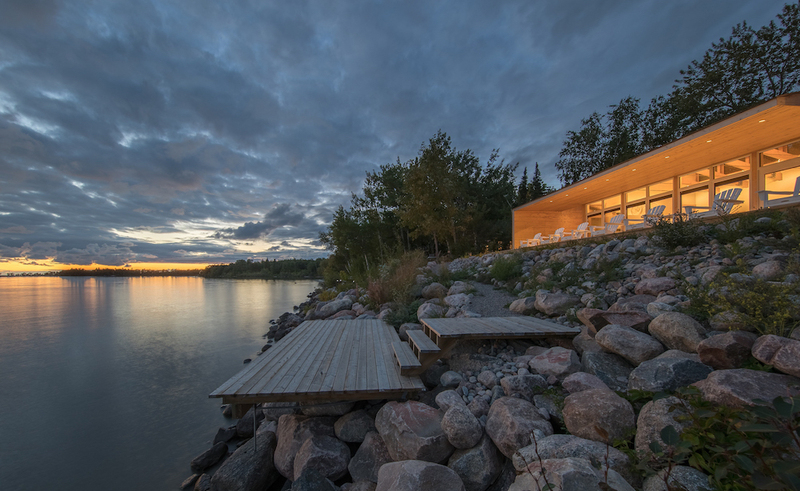 Running until October 31, the Winnipeg Architecture Foundation’s (WAF) new Where Architects Play exhibition explores the phenomenon of cottage living through an architectural lens. Hosted at Make Coffee + Stuff at 751 Corydon Avenue in Winnipeg, the exhibition is made possible with support from the Manitoba Association of Architects and the Canada Council for the Arts. Cibinel Cottage. Photo by Jerry Grajewski via WAF. For over a century, Winnipeggers have been escaping city life and retreating to their summer vacation homes. The practice is so wide-spread that it has become ingrained into the Winnipeg psyche. These cottages, cabins, and camps are more than just a second home; they act as a refuge for their inhabitants. As cottaging became increasingly popular, one could order a prefab cottage or blueprints from a catalogue, many of which were designed by an architect. Now, many of these dwellings are built by their owners, sometimes using scrap and recycled materials. This results in a structure that is both resourceful and unique to the individuality of the owner, offering a humble contrast to typical suburban homes. Where Architects Play explores the cottage phenomenon from the perspective of the architect. A selection of cottages designed by Winnipeg architects for themselves are showcased, with examples from the 1960s to the present day.